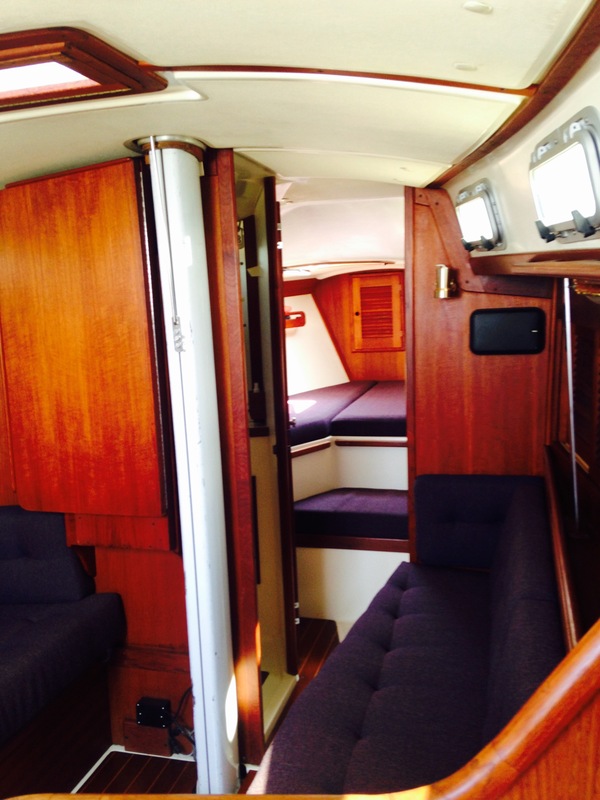 Absolutely gorgeous, well maintained, Great Lakes freshwater only, stored inside heated, Tartan 34-2 yacht. 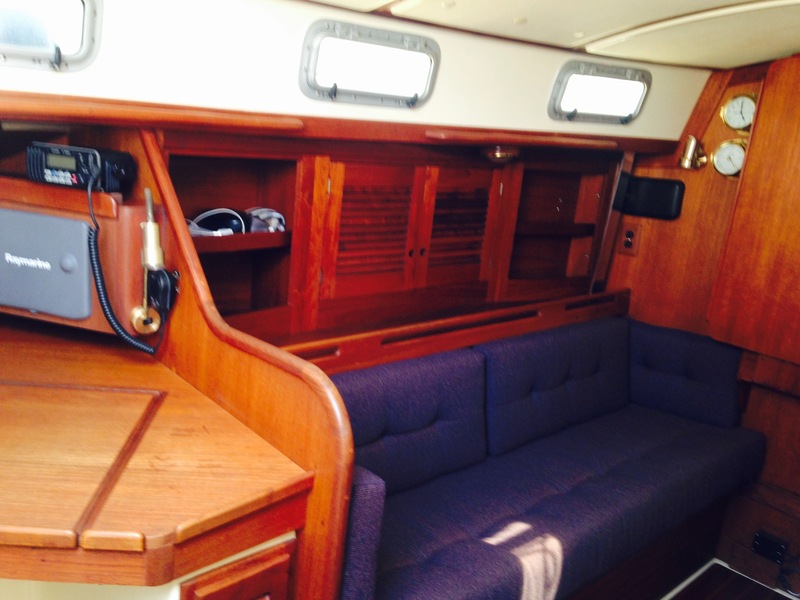 Hull #67 built in Ohio; this boat turns heads whether under sail or in port. She is easy to sail and responsive with everything leading aft to the cockpit. The Selden boom has a double reef system. Selden boom vang. There are 2 sets of sails, 2 booms, a new Asymmetrical spinnaker, a Raymarine ST4000 auto pilot plus C80 chart plotter gps , 8 new ports installed in 2008. New aluminum custom built fuel tank and all new fuel lines from deck fill to racor filter installed in 2016. Well maintained, Yanmar 3GM30F 27 hp inboard engine easily accessible. New holding bladder and new waste lines installed in 2016. 2 New batteries 2018. Max 3 blade feathering propeller. Patented Scheel Keel. Dripless shaft seal. Roller Furling. Navtech hydraulic backstay adjuster. Interior cushions in like new condition. 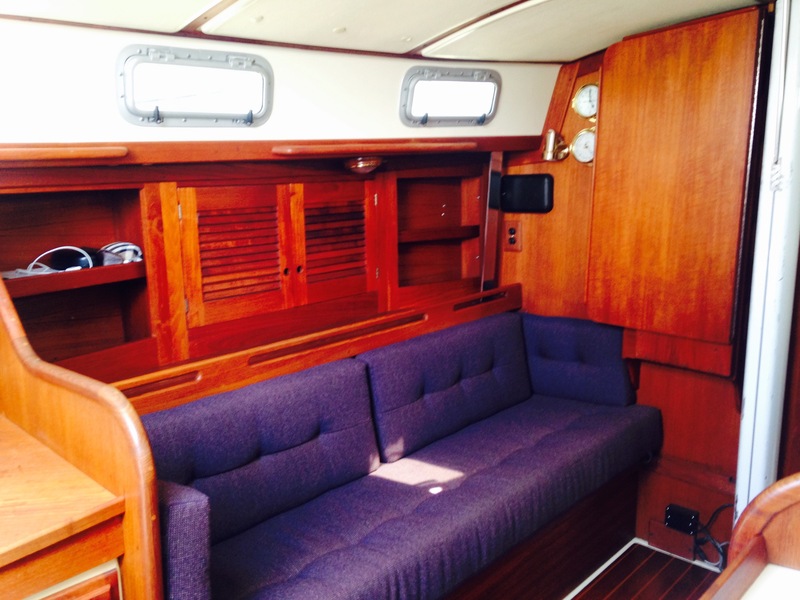 Immaculate teak interior. Steel storage cradle with adjustable pads. Norcold 110 / 12 Volt refrigeration, CNG stove/oven, 55 gallon freshwater tank. This boat is a one of a kind! Must see!